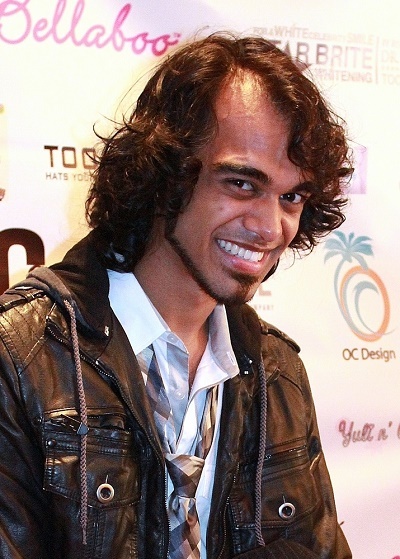 Place of Birth: Capitol Hill, Seattle, Washington, U.S.
Sanjaya Malakar is an American singer. He was a finalist on the sixth season of the singing competition series American Idol. Sanjaya’s father, Vasudeva Malakar, a Bengali Indian, was born in Vrindavan, India. Sanjaya’s mother is American-born, of Italian descent on her own father’s side and of Dutch, Irish, and English ancestry on her own mother’s side. Sanjaya’s maternal grandfather is Joseph Paul Recchi, Sr. (the son of John Recchi and Mary R. Cilfone or Pretare). Joseph was born in Washington, to Italian parents. Sanjaya’s maternal grandmother is LoHua Myrle Odekirk (the daughter of Heber Lawrence Odekirk, Sr. and Esther Margaret Dean). LoHua was born in Utah, and had Dutch, Irish, and English ancestry. Heber was the son of Isaac William Odekirk and Hannah Margarith Pace. He looks black to me, I’ve came across quite a few black guys that looked exactly like him. He could pass for Sri Lankan or even Indigenous Australian. He has strong Australoid features. This person is no CELEBRITY. Half the people on here aren’t celebrities so why you picking on just this one? He at least has a good voice and isn’t a talentless idiot.